Nassau IDA seeks to claw back tax benefits from bankrupt Aceto Corp. The company, which filed for Chapter 11 protection in February, received tax breaks to move its headquarters from Lake Success to Port Washington. ▶ Videos for "Chapter 11"
1. Gymboree filed on Jan. 17. 2. Charlotte Russe filed on March 6. 3. Diesel filed on March 5. 4. 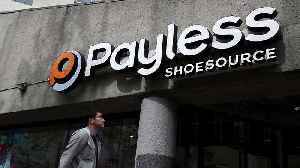 Payless ShoeSource filed on Feb. 18. 5. Shopko filed on Jan. 16. 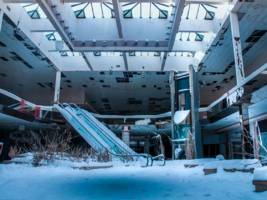 Elizabeth Keatinge tells us about some new Sears stores that are opening after the company declared bankruptcy in 2018. Charlotte Russe is Closing All of its Stores, But is That the End of the Women's Fashion Chain? 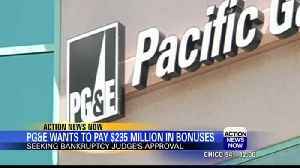 Pacific Gas & Electric Corp. is seeking a judge's approval to pay $235 million in bonuses to thousands of employees despite the California utility's bankruptcy. Fashion brand Charlotte Russe has filed for liquidation. 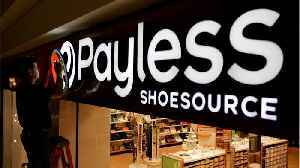 Business Insider reports the company is closing all of its 426 stores. 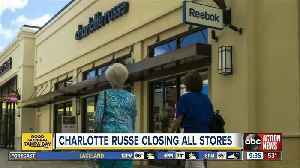 This includes both its namesake brand locations and its 10 Peek Kids..
Just one month after filing Chapter 11 bankruptcy protection, retailer Charlotte Russe has announced they will close all stores and the company has officially closed its online store as well. 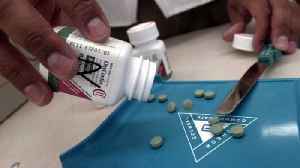 Multiple outlets report that Purdue Pharma is considering filing for bankruptcy, which would freeze the more than 1,000 lawsuits against the company. 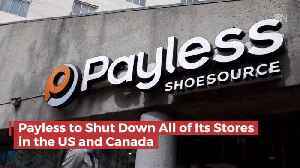 It will close all its U.S. stores. PORT WASHINGTON, N.Y., April 22, 2019 (GLOBE NEWSWIRE) -- ACETO Corporation (Nasdaq: ACETQ), an international company engaged in the development, marketing, sale and distribution of Human Health.. The timeshare developers accuse the company of defrauding their customers. NEW YORK (AP) — Sears Holdings Corp. is suing its former chairman and largest shareholder Eddie Lampert, alleging the billionaire stripped the once iconic company of more than $2 billion in..
A corporate entity called Integrity Brands related to the restaurant chain filed on April 13 for reorganization in U.S. Bankruptcy Court in Atlanta. This webinar is co-produced by West LegalEdCenter™ and part of the "Restructuring, Insolvency & Troubled Companies" series. It will feature Whitney Fogelberg (Kirkland & Ellis LLP); Beau Hays (Hays,..
New Generation Research—publisher of BankruptcyData and the Turnaround Letter—announces the winners for its Industry Best Awards. The following firms receive our top honors this year: Young Conaway..
Just last year, a kid in the market for an Uncle Milton ant farm could choose from a half dozen versions, including glow-in-the dark or an ant village. Now there are only three. Last year, there were..
*BOCA RATON, FL / ACCESSWIRE / April 10, 2019 /* Emergent Capital, Inc. (OTCQX: EMGC) (''Emergent'' or the ''Company''), today announced its financial results for the three months ended February 28,.. The company is investing heavily on open architecture that can personalize a shopping experience. Hagatna, Guam, Apr 6, 2019 / 12:00 am (CNA).- The sexual abuse of minors is “a deep and sorrowful shame,” Archbishop Michael Jude Byrnes has said after Archbishop Anthony S. Apuron’s conviction..
Broadcasting and entertainment company iHeartMedia Inc. is preparing a new initial public offering. The company filed documents Wednesday with the U.S. Securities and Exchange Commission. 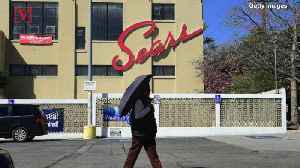 The return to..
NEW YORK (AP) — After its journey through bankruptcy, Sears is getting ready to open its first batch of smaller stores focusing on appliances, mattresses and home services. The first three stores..
Jones Energy Inc. announced April 3 it's seeking Chapter 11 bankruptcy protection so it can reorganize debt and keep the company running. 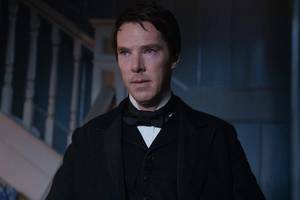 After being in limbo for a little more than a year, “The Current War” has been picked up by David Glasser’s new company 101 Studios. The production company, which Glasser launched in January,..
Brentwood-based Orchids Paper Co. has filed for Chapter 11 bankruptcy in Delaware and expects to emerge from the process with new owners. Orchids Paper announced Monday that Black Diamond Capital.. The Port Washington drugmaker filed for Chapter 11 bankruptcy in February. *NEW YORK, NY / ACCESSWIRE / April 1, 2019 /* Network-1 Technologies, Inc. (NYSE American: NTIP), a company specializing in the development, licensing, and protection of its intellectual property..
Avaya Holdings Corp. is mulling a leveraged buyout offer that values it at more than $5 billion, Reuters reports, citing unnamed sources familiar with the matter. The Santa Clara-based.. Months after emerging from Chapter 11 bankruptcy, the development entity for the Conshohocken office space project has made progress on pre-leasing the proposed building. A popular Utah sandwich restaurant chain has declared chapter 11 bankruptcy after an executive said it "expanded too quickly." This book is now available for purchase. CHICAGO (PRWEB) March 21, 2019 The 2019 edition of Commercial Bankruptcy Litigation was just released by Thomson West Publishing Company. This 2,000+ page..
Days after shutting its doors over tax debt, Wilber's Barbecue and Restaurant has filed for Chapter 11 bankruptcy protection. Actual Brewing Co. is dead. 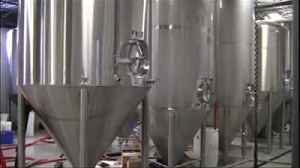 The Columbus brewery’s Chapter 11 bankruptcy case has been converted to a Chapter 7 bankruptcy liquidation and control of the business has been handed off to..
Shopko Stores Operating Co. LLC plans to liquidate its remaining assets after the bankrupt retailer was unable to find a buyer. The Ashwaubenon-based department store chain filed for Chapter 11..
Home furnishings retailer Z Gallerie has become the latest brick-and-mortar retailer to declare bankruptcy. The Los Angeles-based company, which has six locations across North Texas, said it filed for.. Ask A Native New Yorker: Should I Move To Los Angeles? In the summer of 2013, Gothamist published the first of many advice columns from native New Yorker Jake Dobkin, kicking things off with the timeless question, "Is It Normal For Roaches To Crawl Through.. The publisher of Writer's Digest, Popular Woodworking and other niche magazines has filed for Chapter 11 bankruptcy amid plummeting subscriptions. 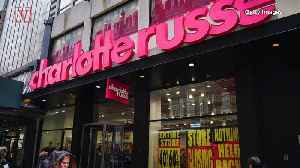 Charlotte Russe Holdings Corp., a women's clothing retailer, will close its remaining stores, The Wall Street Journal reports. 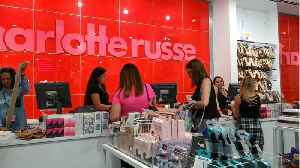 In February, Charlotte Russe filed for Chapter 11 bankruptcy protection.. The deal is subject to bankruptcy court approval. Â The Port Washington drugmaker filed for Chapter 11 protection last month. · Charlotte Russe, Family Dollar, Abercrombie & Fitch, and Chico's announced more than 1,100 store closings in total over the course of 24 hours this week. · The news comes one week after JCPenney,..
Drugmaker Purdue Pharma, which makes Oxycontin, said to be weighing a Chapter 11 bankruptcy filing over its potential legal liability for opioid deaths. A California-based hospital operator now owns Promise Hospital of Overland Park after its parent company, Promise Healthcare, filed for Chapter 11 bankruptcy in November. Strategic Global Management, a..
Several weeks after a sudden shutdown that left vendors and customers in the lurch, Munchery has filed for Chapter 11 Bankruptcy protection.